Backing up files to and from Network Attached Storage (NAS) devices is best done using a reliable backup software tool on a task schedule, so that it runs automatically at set intervals. Give this backup software a try and you’ll find it is perfect for QNAP, Buffalo, Drobo, and Synology NAS devices. 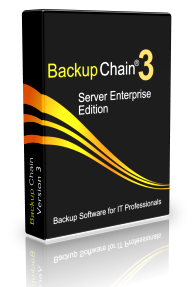 BackupChain includes many backup to NAS features but also offers live disk image backup, disk cloning, Hyper-V backup, VMware backup, Microsoft Exchange backup, and Microsoft SQL Server backup. Fully automatic and configurable version backup and file versioning control. Back up from one NAS to another, even over the Internet. Configurable file versioning (keep several changes of each file). Back up from as well as to Network Attached Storage devices, such as Drobo and Synology. Automatic Deduplication of large files, such as Hyper-V virtual machines, or SQL Server databases. Simultaneous file backups and tasks for maximum throughput. Multiple CPU cores may be used to speed up backups. Various open standard formats are supported, such as ZIP and 7-Zip. Secure Cloud Remote Backup options via FTP / FTPS. Backs up files, VMs, and services while they are in use without interruptions. Encryption, incrementals, differentials, and many data deduplication options. Take BackupChain for a test drive and download the full version now! Network Attached Storage (NAS) refers to a simple to manage file server. Generally, NAS are deployed in businesses and homes as affordable, low-cost, independent storage space servers on a computer network. Popular NAS brands include: QNap, IOmega, Drobo, Buffalo, Synology, Netgear, IOSafe, Diskstation, and ReadyNAS. Today’s PCs typically have a hard disk that is built directly into the housing of the computer. Storage areas that are directly available to a PC are also called “Direct Attached Storage”. In order to share a hard disk and all its files on the network and make it widely accessible to all computers on the network, a method is needed to communicate between all network nodes. This functionality is provided by file-based network protocols, such as SMB / CIFS and NFS and block-based network protocols, such as iSCSI and FCoE. By attaching storage over a network, Network Attached Storage, or NAS, the storage is offered over the network for users to work autonomously, i.e. without the need for a dedicated PC or server in-between. NAS may be using several kinds of file systems internally but all created files and directories appear on the target system as an integrated structure, similar to a local file system. NAS systems in the narrower sense of their definition are server services that make files available to clients connected via a network service. This differentiates the NAS service from Direct Attached Storage and Storage Area Networks. In the broader sense, NAS devices allow universal access to a centralized file storage space via Ethernet-based LAN and increasingly over Wi-Fi. From a general perspective, NAS backup systems provide basic file server functions over a local area network. When used in a business or organizational environment, NAS systems should be capable of account permissions (ACL) handling and other user permission management. NAS systems should isolate personal files, which are available only to a user, from group data, which are available for all users within a particular group. NAS systems provide therefore usually far more functions than just allocating memory via the network to a single computer. A NAS, in contrast to Direct Attached Storage, is always either a standalone host or a virtual machine (a.k.a. virtual storage appliance, VSA) with its own operating system. Many systems on the market also offer RAID functionality, to prevent data loss by hard disk defects. Access to a NAS usually occurs via NFS or SMB/CIFS -based file services. Some NAS implementations such as OpenMediaVault , FreeNAS, and Openfiler offer block-based data access, in addition to network share access. This block-based access is common on SAN devices, and many NAS devices offer an iSCSI implementation to access data at the block level. Network Direct Attached Storage with additional features designed for home use (so-called SoHo-networks), may offer additional services, for example, a printer server. However, some of these functions are limited to small networks with a few computers, and special device drivers on each connected computer are necessary to access them. Connections to NAS systems are usually made via Ethernet and TCP/IP. The associated TCP/IP protocol overhead results in a somewhat lower performance for remote mass storage at the operating system level. High-performance services with high disk I/O should therefore not be configured to use NAS storage, unless it occurs at the block level, for example by using iSCSI or SAN connection. Some specific NAS systems are not designed business organizations and are only recommended for home use. Those devices may offer a web interface for simple configuration. NAS devices (for example, Synology, QNAP, Drobo, and Buffalo) that are specifically built for enterprises can cope with very large amounts of data. Through the use of high-performance hard drives and large caches, great amounts of data are accessible to user at reasonable speeds. Professional NAS solutions are suitable for the consolidation of file servers, specialized for business usage. High performance, redundant, and reliable NAS solutions provide an alternative to traditional Windows/Linux/UNIX file servers. To simplify the data backup large of NAS environments, the most units of this NAS category support the network data management protocol (NDMP). A number of advantages exist for home use, too. All users on the network may access the same data easily, for example. To back up important files and data regularly and automatically, one should use a good NAS backup solution on each source computer or server.